Tune in to KXCI as Pieta Brown joins Henry Hallet on Acoustic Alternative for a live in-studio performance and interview Saturday morning, May 7th, around 9am. 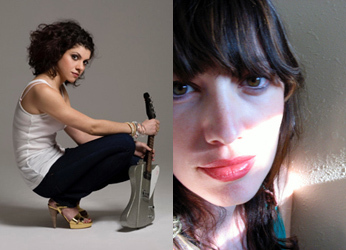 Saturday night Pieta Brown and Carrie Rodriguez perform in a KXCI Presents! double bill at Club Congress. Pieta and Carrie are both independent minded singer-songwriters who build on the tradition of folk and Americana while forging new sonic ground. Doors open for this intimate early show at 7pm.